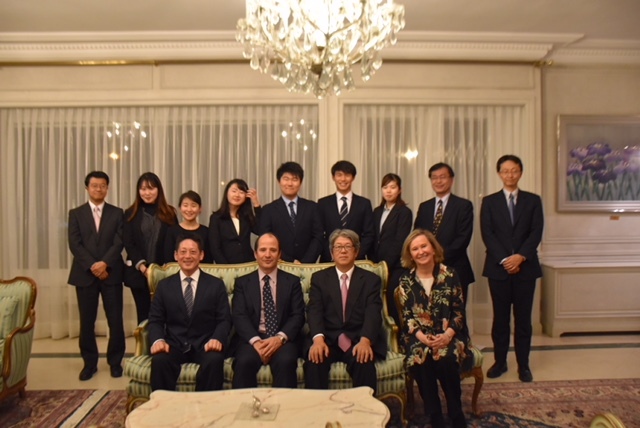 Last 14th February, the six students of the Hitotsubashi University participating in the 11th Edition of the Bergé Talent Programme, had the privilege to attend a dinner offered by the Ambassador of Japan, Mr Masashi Mizukami, at his residence in Madrid, accompanied by other Embassy representatives. 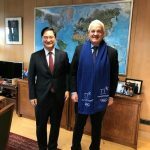 This event was also attended by the Director of International Studies of the aforementioned university, Professor Jin Abe, the President of Bergé y Cía, Mr Jaime Gorbeña, and other managers of the company. 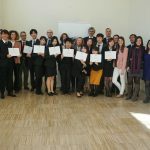 The Ambassador had the chance to discuss with the Japanese students their experiences from the Programme and their stay in Spain. The relationship between Bergé with Japan go back more than 50 years due its business in the automotive and marine sectors.